SPRINGFIELD — Local groups plan to voice their support Tuesday for a statewide coalition pushing to redirect prison spending toward job creation, training and support for Massachusetts’ lowest-income communities. 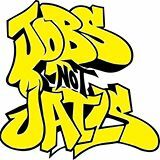 A contingent of community groups is scheduled to hold a news conference at 4 p.m. at the Mason Square Branch Library, 765 State St., to endorse the Jobs Not Jails campaign. The campaign aims to get the state to spend the estimated $2 billion slated for new prisons on new job opportunities for those living in low-income, high-crime communities. “The Jobs Not Jails campaign is a win-win for the residents of Springfield and Western Massachusetts,” said Donnelle Wright, the campaign’s regional organizer. “Individuals attempting to reintegrate back into our communities require an opportunity for employment and housing. Being able to obtain a job will reduce crime and improve public safety,” Wright said. Issues the group is fighting for include ending mandatory minimum drug sentences; diversion of low-level drug offenders to treatment programs; bail, parole and probation reform; restoration of educational and vocational programs in jails and prisons; and elimination of automatic driver-license suspensions for drug offenses, among other changes. The Patrick administration has estimated that the state will have to spend $2 billion over the next several years to build 10,000 new prison units, and another $150 million annually to fill them, according to the Jobs Not Jails campaign. © 2014 masslive.com. All rights reserved.